Business Continuity Planning | Rocco & Associates Wealth Management, Inc.
One thing that our business teaches us all is that accidents do happen and the unexpected does occur. At Rocco & Associates our business continuity solutions will provide you and your clients with the satisfaction of knowing that should an unfortunate occurrence happen, your business will still be in good hands. Our team will work tirelessly to build the same trust and respect while getting to know your clients’ values. We will strive to continue your legacy and further galvanize the client relationships that have been built over the years. There is much more to a business continuity plan then a name on a piece of paper. 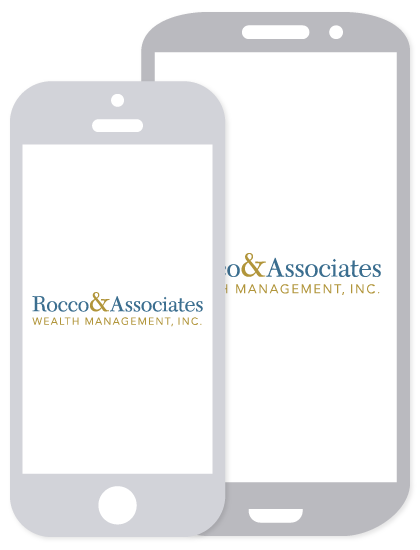 At Rocco & Associates, we work to understand your business so we can make any unexpected transition smooth for both the business and your clients. We will work with you to intimately understand your process and find synergies between our businesses so that everyone can be prepared for any of life’s twists and turn. None of us have a plan to fail, but rather fail to have a good continuity plan in place when the unexpected happens. Whether you are thinking about how an unexpected event could affect your personal family or your business family, know that your practice is in good hands when aligning with the Rocco & Associates team. Not only will we conduct extensive due diligence on your business, but we will give you the same access to ours so you can be equally comfortable with the arrangements that are made. We work tirelessly to provide our clients with the best service available, and as a continuity partner, you will receive that same care, trust, and respect that we share with our clients each and every day. You have worked hard to build your business. Do not take less than you deserve because of unexpected events. By putting a business continuity plan in place you are working to protect your future, your family’s future, and your clients’ future. At Rocco & Associates, we not only want to protect that future but make sure it is protected at full value, without sacrificing value for security.